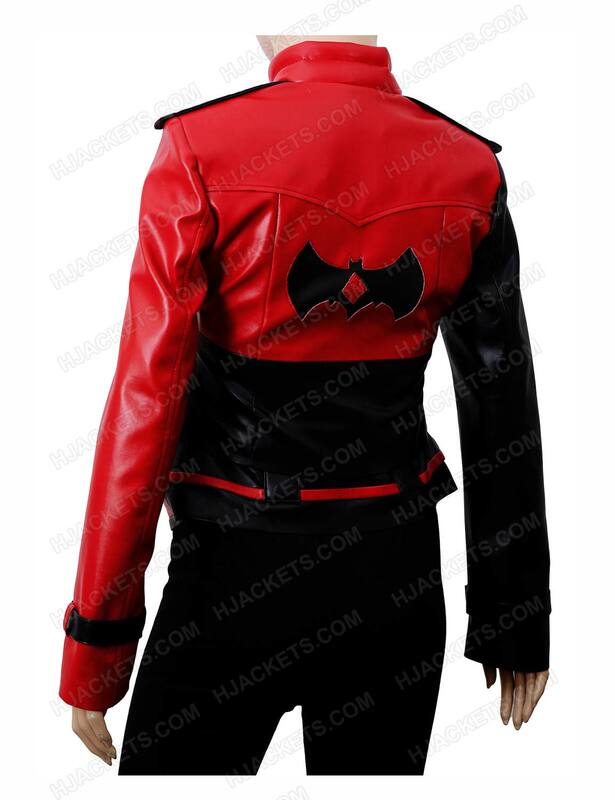 Injustice 2 Harley Quinn leather jacket and vest, the both are inspired from the video gameplay’s costume worn by Harley Quinn Character who is the frequent accomplice and lover of the Joker, whom she met while working as a psychiatric intern. 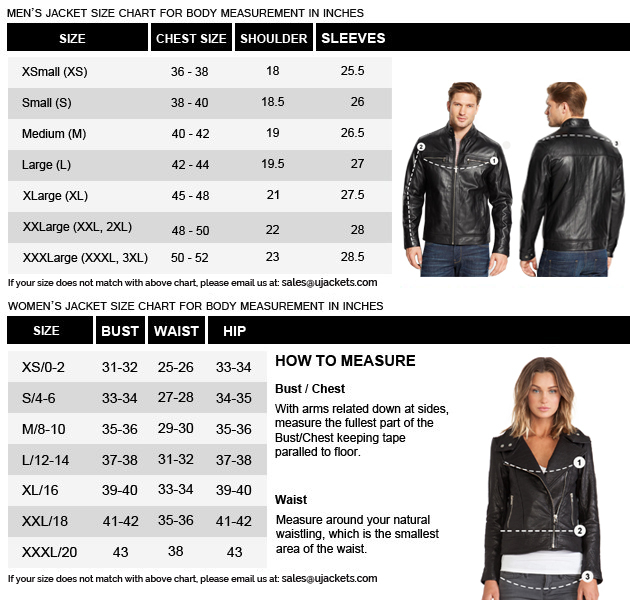 Harley Quinn leather Jacket and vest is now available for her in stock quantity of different sizes at our online store to be purchases. 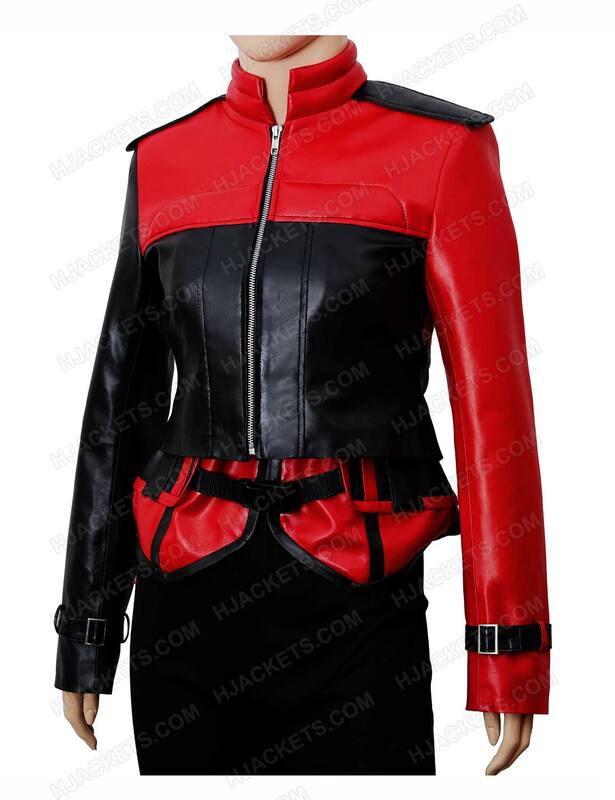 Harley Quinn injustice 2 jacket is now available in faux or real leather with viscose lining in color of black and red with shoulder straps to be wear in winter and snowy seasons and also can be wear in summer while traveling on bike and she wear this outerwear in casual parties too. Harley Quinn injustice 2 Jacket embossed the Mandarin collar on above the chest with slim fit design of it. 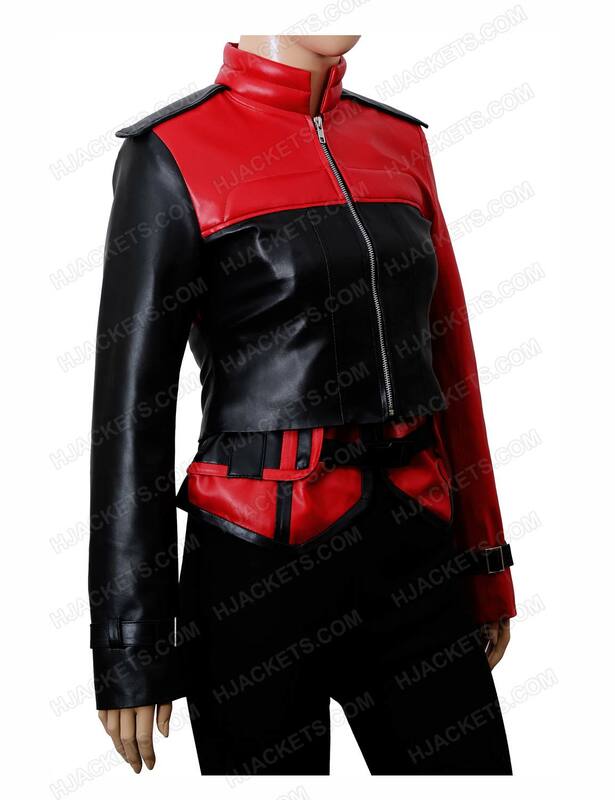 Front Zipper Closure embossed with straps on shoulders side with open hem cuffs red colored left sleeve and black color with right sleeves designed as belted buckle type. 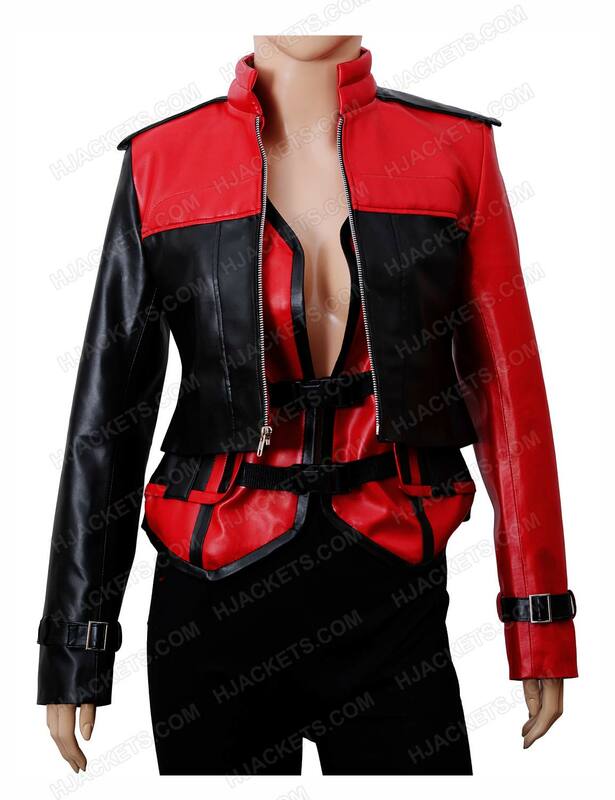 Injustice 2 Harley Quinn Vest is in Velcro Closure style as red colored with padded in magic belt with piping hemline with entire vest and sleeveless style for females. Harley Quinn red vest from waist of magic belt with elegant neckline styles. Now this vest is also available in online stock of store.